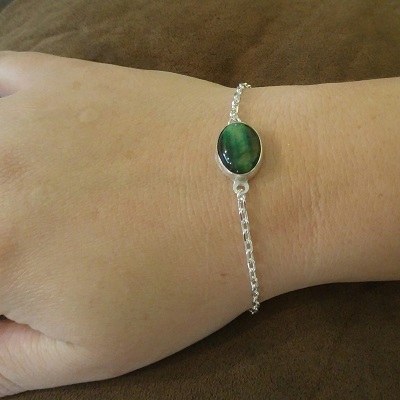 This sterling silver beveled chain bracelet is 100% sterling silver. The beveled chain hosts a handmade sterling silver bezel to hold the gemstone. The flip clasp is to make it easier to put on and take off. 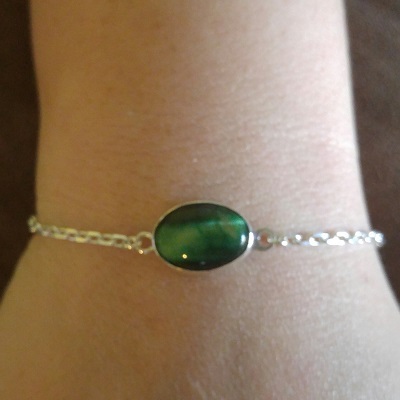 This sterling silver beveled chain bracelet is 100% sterling silver. The beveled chain hosts a handmade sterling silver bezel to hold the gemstone (showing a Green Tiger Eye). The flip clasp is to make it easier to put on and take off. The overall length is just under 8″. If you need it shortened, let me know to what desired size. The drawn links and beveled edges of this classic oval cable chain give it a chunky, industrial look in bright white sterling silver. Cable chains are the most common chain style formed by simply connecting single links perpendicularly end to end. 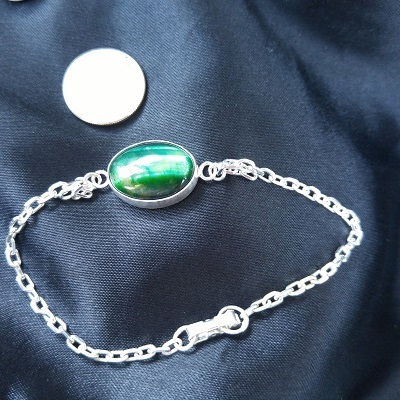 Links may be round, oval or other shapes. The links of this chain are drawn, giving them an oval shape. Beveled-edge chain features links that are cut to create angled edges rather than the usually rounded profile.